Legendary musician, actress, and advocate Linda Ronstadt is one of the most accomplished Latina artists of her generation. A Life Member of AFM Local 47, her remarkable and unparalleled music career spans folk and folk rock, to country and country rock, to pop rock and hard rock, to Gilbert and Sullivan and Puccini, to American songbook standards, to Mexican ranchera, to Afro-Cuban, to jazz. Born in Arizona to parents of European and Mexican ancestry, Linda grew up listening to many types of music, including Mexican music that was sung by her entire family and was a staple in her childhood. Establishing her professional career in the mid-1960s at the forefront of California’s emerging folk rock and country rock movements, she became one of the most popular interpretive singers of the ’70s, earning a string of platinum-selling albums and Top 40 singles. Throughout the ’70s her laid-back pop never lost sight of her folk roots, yet as she moved into the ’80s she began to change her sound with the times, adding new wave influences. After a brief flirtation with pre-rock pop, Linda settled into a pattern of adult contemporary pop and Latin albums, sustaining her popularity in both fields. Having sold in excess of 100 million records worldwide and setting records as one of the top-grossing concert performers for over a decade, Linda was the most successful female singer of the ’70s and stands as one of the most successful female recording artists in U.S. history. Ronstadt opened many doors for women in rock and roll and other musical genres by championing songwriters and musicians, pioneering her chart success onto the concert circuit, and being at the vanguard of many musical movements. During her stellar career, which spanned more than five decades, she released more than two dozen best-selling studio albums. Also a talented actress, her performance on Broadway in “The Pirates of Penzance” earned her a Tony nomination. Winner of 11 Grammy Awards, she also collected a vast array of other honors, including an Emmy for her theatrical work, an ALMA (American Latino Media Arts) Award, and two Academy of Country Music awards, among many others. In 2013, she was awarded by President Obama a National Medal of Arts and Humanities for, among other things, “paving the way for generations of women artists.” In 2013, she shared her journey in her musical memoir “Simple Dreams,” and in 2014 she was inducted into the Rock and Roll Hall of Fame. Linda performed her last live concert in late 2009 and officially announced her retirement in 2011 when it became increasingly difficult for her to sing. The following year she was diagnosed with Parkinson’s disease. Though she no longer performs, Linda remains a committed advocate for the arts, a passionate proponent of the Mexican-American heritage that nurtured her, and an outspoken social critic. 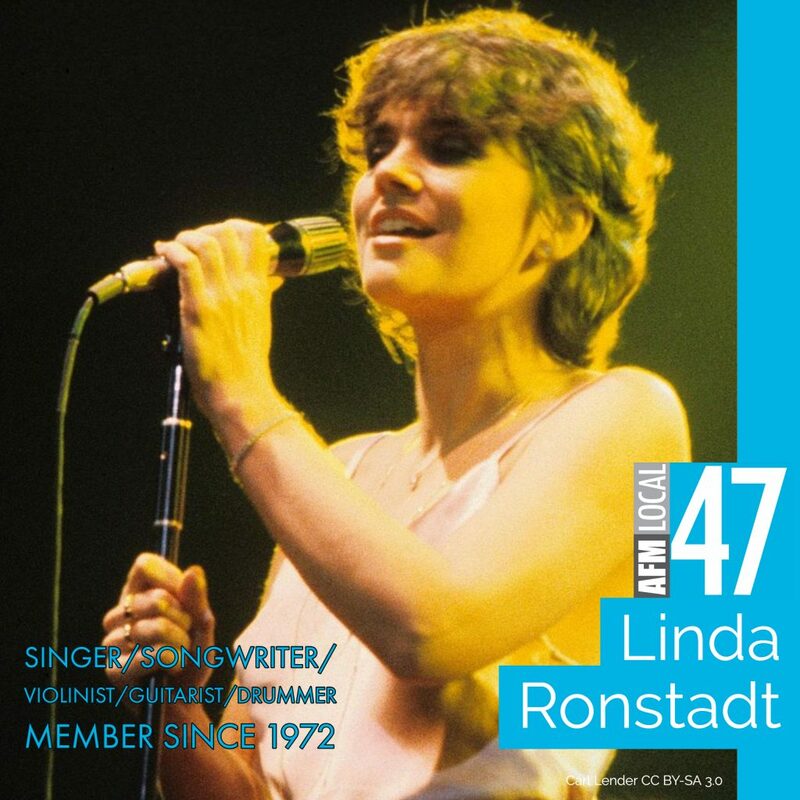 This entry was posted in Features and tagged Linda Ronstadt, women in music on March 1, 2019 by admin.